Do you dream of driving around in a serene bubble, cut off from the noisy world outside? 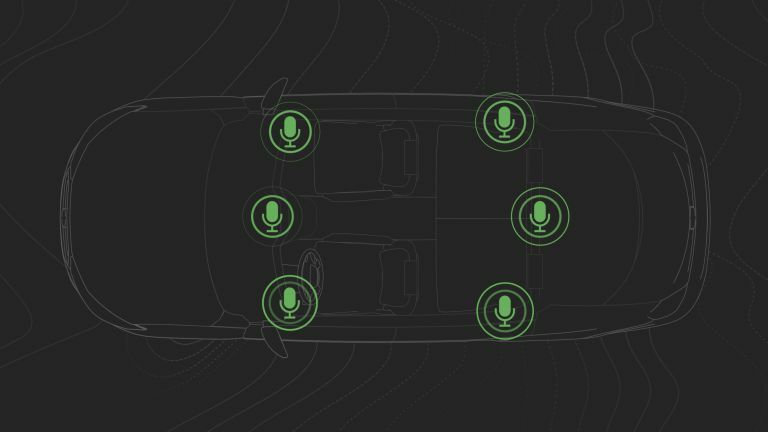 Well, we have some good news, because Bose has adapted its QuietComfort noise cancelling tech to work in cars. The new 'QuietComfort Road Noise Control' system promises to minimise unwanted sound, such as wind and road noise, allowing its occupants to enjoy a quieter ride. It works by measuring vibrations using accelerometers mounted around the vehicle's body. As the car drives over uneven surfaces the software calculates an acoustic cancellation signal and delivers it through the vehicle's speakers. The opposing sound waves from the road and the speakers cancel each other out, just like a pair of noise cancelling headphones. Bose claims the system is "a smarter, more flexible and adaptable electronic solution" than previously available. We can see it soon replacing traditional sound-reduction techniques, such as adding heavy insulation to the vehicle body. This would result in lighter vehicles and increased fuel economy. It's also ideally suited to electric vehicles, which don't have engines to mask the sound of road and wind noise. Bose automotive, active sound management solutions manager, John Feng said, "We know it's much more difficult to control noise in a large space like a car cabin compared to the relatively small area around your ears." "However, through research advances and our relentless efforts to solve tough problems, we've achieved a level of road noise reduction that sets Bose apart from competitive offerings." QuietComfort Road Noise Control is now available to automakers working with Bos, with the audio company expecting the first models with QuietComfort to roll off the production line by the end of 2021.